We are in an era of history when nothing less than the extraordinary of Heaven is required in the earth. We cannot and will not look for those things offered by mere religious sentiment that serve as nothing more than band-aids covering the unresolved issues and fruitless programs of western religion. We must lift up our heads from where we are and look to where there are Transforming Power and radical answers that change individuals and grip them with an insatiable vision for the Kingdom of Heaven in the earth. 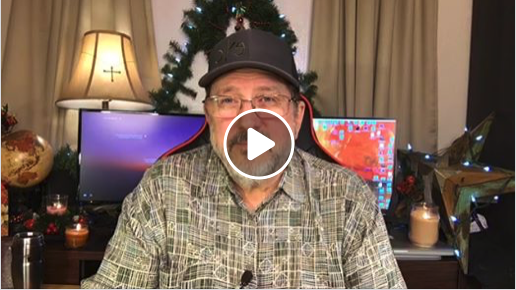 This entry was posted on December 17, 2018 by Marty Gabler. It was filed under Uncategorized and was tagged with 1 Thessalonians 4:17, anticipation, Apostle, Barbara Yoder, Bethel Church, Bible, Bill Johnson, Body of Christ, celebrate, CFNI, charismatic, Chuck Pierce, church, Cindy Jacobs, circumstances, comfort, Daily Discovery, Damon Thompson, destiny, dreams, Dutch Sheets, elderly, encouragement, expectation, faith, father, Five-Fold, FMCI, future, gifts of the Spirit, god speaks, grace, Haggin, happy, healing, history, Holy Spirit, hope, Identity, intercession, Isaiah 9:7, Israel, issues, Jentezen Franklin, Jeremiah 29:11, Jesus, Jim Goll, Jim Hodges, John 3:16, John Eckhart, John Kelly, Joseph Prince, Joyce Meyer, Kathy Gabler, Kim Clement, Kingdom of God, Lakewood, Lance Wallnau, life, Lindsey, manifestation, Marty Gabler, Matthew 6:10, Matthew 6:33, Melissa Gabler, Myles Munroe, obstacles, ORU, Osteen, power of god, prayer, problems, prophecy, prophesy, prophet, prophetic, prosperity, purpose, Redding, rejoice, Rick Joyner, Rick Pino, righteousness, salvation, Savior, SEEC Ministries, sentiment, sons of God, spiritual warfare, success, TD Jakes, Texas, Tony Evans, transforming power, victorious, victory, visions, Will of God, wisdom, word of god.